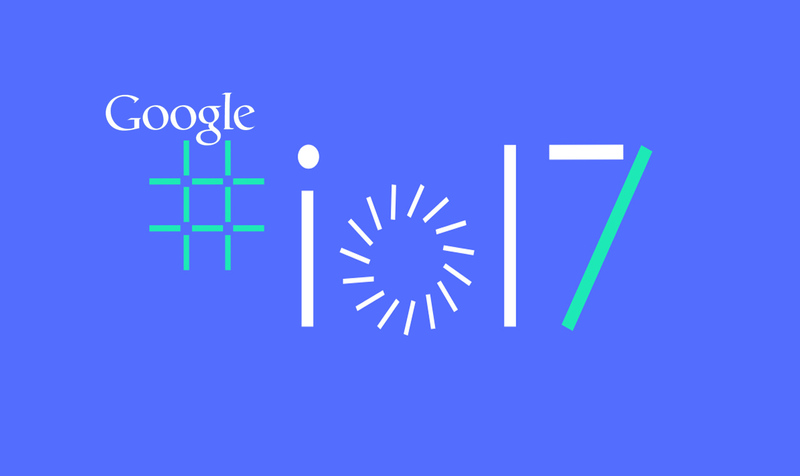 Google I/O 2017 has been exciting for the developers with some of the most amazing announcements related to mobile app development. The most awaited event of the developers and the AI researchers, the grand Google I/O 2017, has successfully satisfied the tech buffs through its announcements as expected. That was an amazing event like a clear stream of water. One after another, Google executives stunned the populace with their big announcements and put the gathering in awe. Well, Google I/O 2017 has many surprising yet satisfactory elements in its kitty for the users and developers. The purpose of the announced advancements clearly communicated that these are to make computing simpler, easier, healthier and entertaining. Along with the introduction of many simple developing tools, Google has announced training programs that improve the programming skills of the developers. They proudly revealed the stats that there are 2 billion active monthly android users around the world and the happy users have downloaded about 82 billion apps from Play Store. An explanation on how helpful Google is in building career and how many users are actively spending on the Play Store were some good aspects from the developers perspective. One of the biggest announcements from Google for the developers and the programmers is the news of integration of Kotlin in Android Studio 3.0 for app development. Kotlin the amazing mobile app programming language, was announced as the official language for development, makes writing codes easier for the developers. The feature rich Kotlin will act as an enhancement for the existing coding languages as well and can be easily integrated with the current system. The programmers will love to have their hands on Kotlin as it can perfectly work with JAVA and it is now open for the developers. Coding can become a fun if you choose to write with Kotlin, they proudly explained how a code of 87 lines can be implemented in Kotlin with just one line of code. TPU, Tensor Processing Unit, the chip that makes the process of building AI on Google platform faster, engaging and smooth, has attained an important phase of innovation with Google. Yes, Google has announced Cloud Computing TPUs designed for data centers to simplify the efforts of the developers to build AI on Google platform without a need of hardware or supporting machine learning. This is an effective move that will reserve a place for Google in all the upcoming AI advancements. Lurking announcements for the users this year! They wanted to have an attractive announcement for all the sections of the Android users and that’s how they brought in Android GO. It was introduced as an economic solution for the basic or entry-level android device users. Android Go will frequently notify you the data consumed and the storage space required for the apps you download and the actions you perform. Your Android Go Play store will have all the rebuilt small apps that consume less space and minimal data usage and offer a satisfied usage on low model phones with less storage space. Android Go will be available for the users later this year. Google lens will now pull you all the information of the source that you point towards! Yes, your Assistant through Google lens can get you the details of the source you point through your camera’s lens. Artificial Intelligence on Google Assistant will take the major move this year, the tech fans presumed and they are right! The demonstration was done to explain how accurate and helpful the Google lens will be for the users. If you point your camera on a restaurant’s entrance, Google’s AI will get you the details of the restaurant and the rating it received using Knowledge Graph. Just a click on that and the menu of the items they serve will be at your hands, all of this right after you point the camera. When you point it on an animal or flower, the species, family and zoological details of the source can be read. By bringing AI to a camera, Google has made our searches simpler, readily available and easier. Google Lens is the most appreciated, entertaining and promising feature that Google has announced this year for the Android enthusiasts! To simplify your online transactions, Google Actions enable you to find, choose, place an order and pay with the help of Google Assistant. To transact through Google you can literally converse with your Assistant and place your order for your favorite stuff online. You can authenticate your payment using finger scan and your transaction will be successful. Conversational translator on Google Assistant will be a good support for the users. The search terms can instantly be translated as we speak. It is instant, supportive, accurate and effective. This developing functionality can now translate a few languages and by the end of this year there will be more languages available for the Conversational and Translation purposes. Tango, will no more be known as a dance as this is going to device the best VR experience we have experienced so far! The specialty of tango is that we do not need any device, PC, cords or connections for support, as Daydream comes up with a standalone VR headset to experience VR to its core. Google has partnered Qualcomm in this just like the other big players. For now, a few companies have announced Tango enabled devices and in future many wide angle Tango phones will steal the real world and make people wander in the augmented gaming world. Tango uses motion sensors to track and sense the surroundings and feature it more physical and they call it Worldsense. Tango seems to be an interesting announcement that Google has made this year taking Augmented Reality to a higher level. The disappointment is that the devices are not on the market but soon it will be available to stun us up! Now writing with light, photo shooting and sharing, gets active, easier and fun-filled with Google! Gladly, when you click some photographs with your friends, Google will now provide suggestions with whom you can share the photos. You can also auto share the pictures you take with your loved ones through Google photos. You can now compile a picture book of your beautiful photographs with the help of Google photos on iOS and Android and can get it printed for you. Google will also suggest you the good clicks to feature on your picture book. You can maintain a photo library with your close circle, add, share and save your photographs from anywhere on the library. The already exiting Google Home now has become excellent as it allows you to make calls. Via Google Home you can access television, radio and all the Bluetooth enabled devices, appliances and equipments. Google home allows you to make free calls around the US and Canada. Though it uses private number to avoid privacy setups and complications, you can use your personal numbers to stay connected with your close mates, but no incoming calls allowed. Handsfree calling, reminders, calendars, weekend schedules and more joyous life gets with Google home! To make the troublesome Text Selection Tool usable and plain for us, a single tap selection capability is now available for us on Google. From now we can select the words and numbers with a single click from a page and a big stop to pulling that selection tool with a handle that makes our task tougher. The running or functioning apps will now have Dots Notification so that we can differentiate the app that is functioning. Just like the one that Instagram has, now we can have dot notification for all the applications we use. A long press on the app will let you open it for your usage. Our searches on Google will never end and their efforts to adore as well. Let us join, sit back and enjoy Google as everyday!